There are 16 shades of lipsticks to choose from, all of which look amazing! 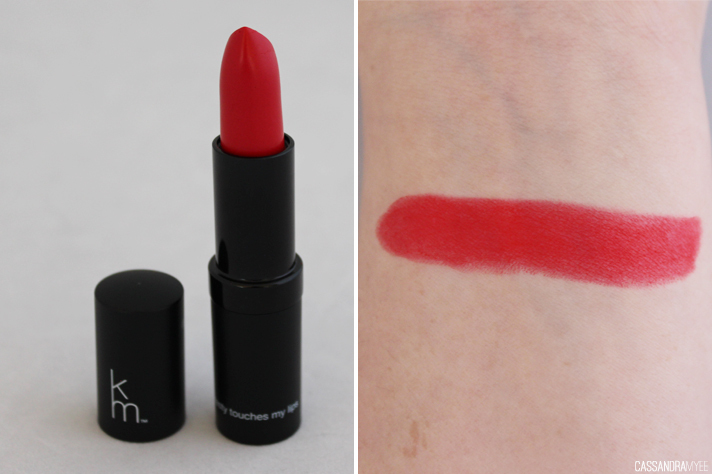 Rymba Rhythm (Shade 12) is a vibrant red, with a slight pinky hit to it which I think is extremely flattering. The pigmentation is great, you can go quite sheer by just lightly dabbing and then blending out with your finger, or you can go full-on, bold colour in a couple of swipes. 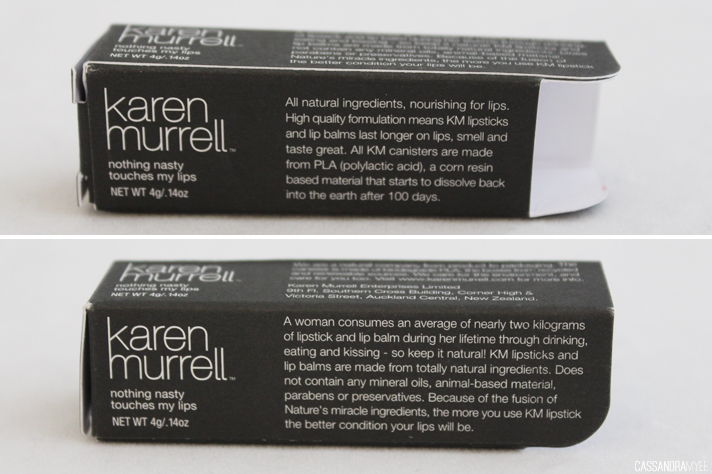 The formula is very smooth, it glides on easily without dragging or caking up on the lips and leaves a creamy, glossy finish. It is long lasting, although it does transfer if you are eating/drinking it also leaves a bit of a tint behind as it fades, so it's not so obvious! 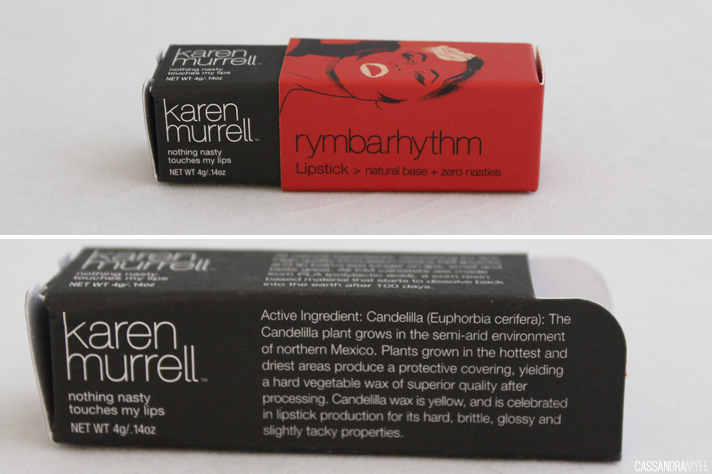 If you are looking for natural cosmetics, or are interested in trying a new brand of lipstick, Karen Murrell might be perfect for you! These retail for NZD $30 each and can be found nationwide in various shops and department stores and they also ship internationally from their website. 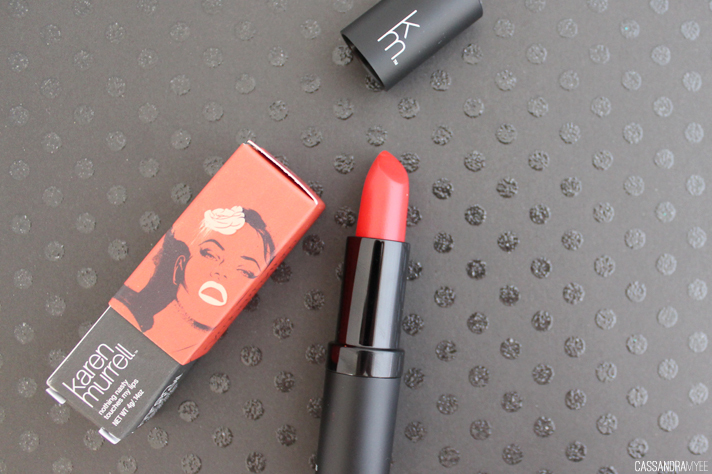 Do you opt for natural when it comes to your lipsticks? 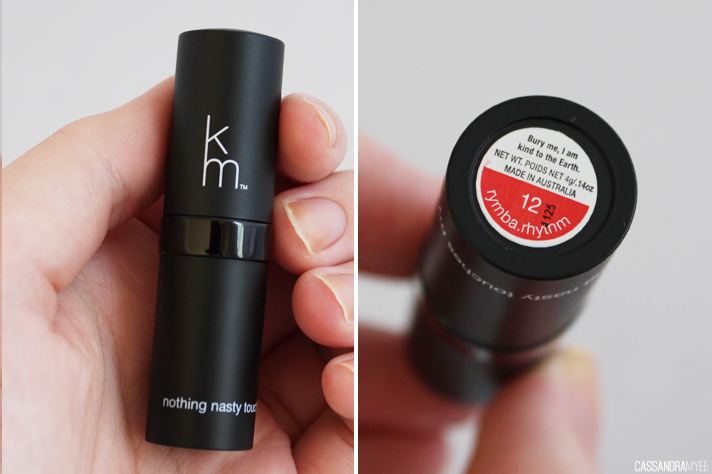 Have you tried a KM lippy before?